available for September 16th start! Deadline for applications is 22 April. The year of 2018 is coming to an end, and what a BLASTO year we had! The 2nd International Blastocystis Conference was so much more than a worthy sequel to the conference in Ankara in 2015, - it was also the conference that initiated the tradition of having a conference on Blastocystis every three years! And as most of you probably know, the next conference will be in Crete in 2021. More info to follow. 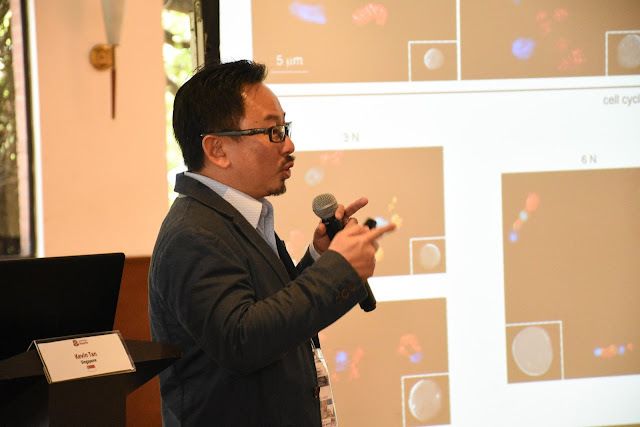 We also had a specific Blastocystis session in ICOPA 2018 in Daegu, South Korea, and I expect that this is also something that we'll see more of in future conferences. Most exciting Blastocystis-related paper of the year for me is probably the one published by Raul Tito and colleagues in the journal Gut, which is available for free download here. The paper is a good example of the opportunity we have to study Blastocystis across geographical regions and taxonomic kingdoms. I would very much like to re-congratulate Raul on his fantastic work! His work sets an example for all of us. 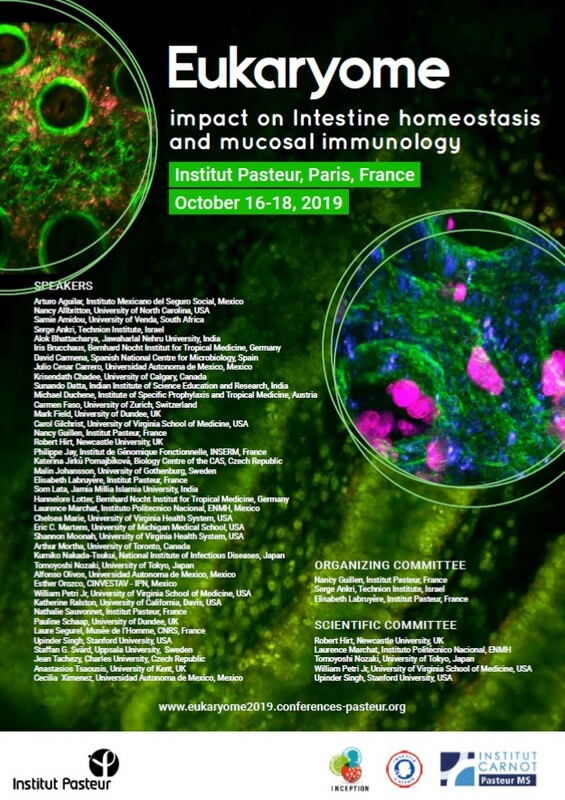 Everyone, please remember that we have founded the International Blastocystis Network, which is a memeber of World Federation of Parasitology. Please help us come up with ideas as to what it can be used for. To those of you who celebrate Christmas: Happy Christmas! Is this a new Blastocystis subtype? Maybe not! Here's Why! The genetic diversity of Blastocystis is becoming comparable to the universe! Seventeen subtypes (which are likely separate species or even genera) have been acknowledged so far, but quite a few more have been mentioned. However, before assigning new Blastocystis subtype numbers to your SSU rDNA sequences, you'd need to do some QC work on your data. Sometimes we notice sequences deposited in the NCBI Database or included in articles that may look like new Blastocystis subtypes.... but they're most likely not! 'One of the tasks I do when I have a few minutes to spare is to look at new Blastocystis sequences that have been deposited into GenBank. 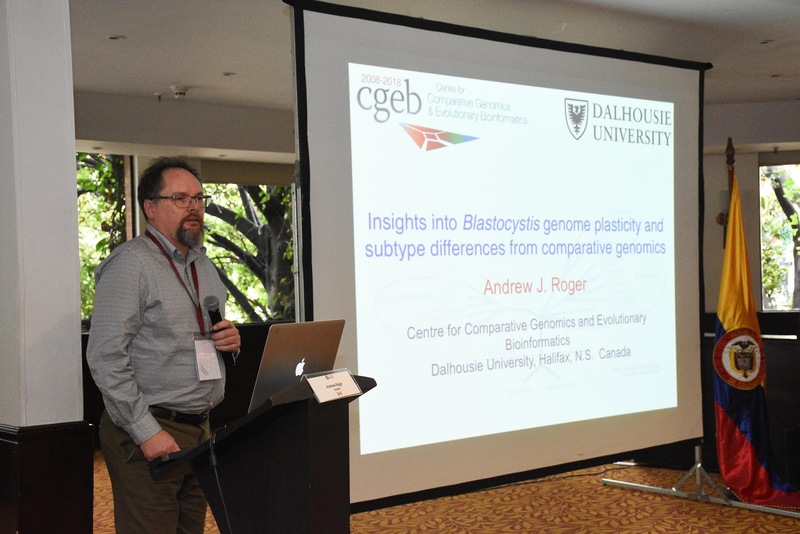 I am always hoping to stumble across some exciting new subtypes or new hosts that will expand our understanding of diversity in Blastocystis. Only rarely does this happen, however. I do, occasionally, come across sequences that are problematic and it is these that I want to focus on. Chimaeras: This problem occurs during PCR amplification when one primer binds to a Blastocystis subtype DNA and the other primer binds to a different source of DNA. In the first case I came across the other source was a different Blastocystis subtype, meaning that the sequence at one end of the PCR product matched one subtype and the sequence at the other end matched a different subtype. This observation is mentioned in the paper describing barcoding of Blastocystis (Scicluna et al, 2006). Since then I have seen other chimaeric sequences: one recently was a mixture of Blastocystis plus a plant while another was Blastocystis plus a free-living protist. Chimaeras are produced when there is incomplete replication of a DNA strand during a cycle. After denaturation in the next cycle, the single stranded partial product can bind to another single stranded product from a different source and synthesis results in a product combining sequences from two sources. The conservation of ribosomal RNA genes means there can be sufficient similarity to allow binding between sequences from distantly related organisms. Chimaeras are generally only found when the sequences are from cloned ribosomal RNA gene sequences obtained by PCR, although they also occur in some forms of Next Generation Sequencing. When mixed PCR products are sequenced directly the sequence obtained is the average of all the products in that reaction, and so chimaera sequences will usually be ‘diluted out’ by the major product of the reaction. Only when a single sequence from that mixture is isolated and studied will chimaeras be detected. If the ‘alien’ region makes up a significant percentage of the sequence then the result of BLAST analysis will show a percentage divergence from known subtypes that indicates it may represent a new subtype. A quick way to evaluate this is to compare the BLAST results using the first and last thirds of the sequence. If it is a new subtype the results should be similar. 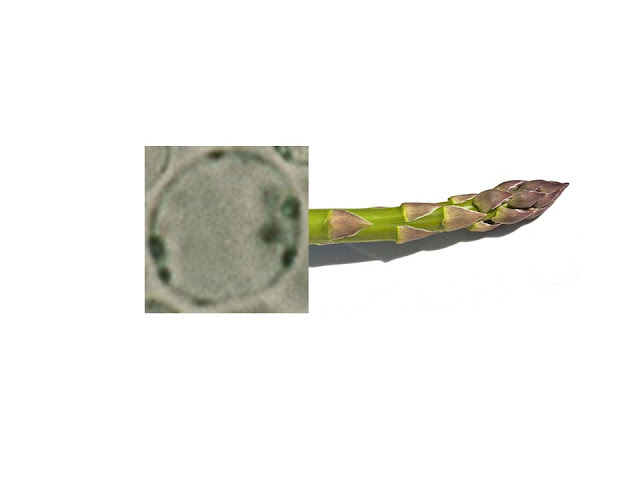 In a recently detected chimaera, the first third was a 100% match to a known Blastocystis subtype while the last third was a 95% match to asparagus. This approach is an easy way to check whether there is something to get excited about. A chimaera sequence can sometimes be detected because of its impact on phylogenetic trees. The sequence will be on its own branch, often at the base of a clade containing the subtype found at the Blastocystis-matching end. Non-Blastocystis Blastocystis sequences: Like chimaeras these are often PCR artefacts, most commonly encountered when amplifying from stool DNA, especially if the stool is non-human. There is an expectation that Blastocystis-specific primers will only amplify Blastocystis DNA but, sadly, that is not always the case. I have personally seen this many times - if Blastocystis DNA is a minority of the eukaryotic DNA in the sample then the likelihood of artefacts increases greatly. These are generally identified easily if the sequence is compared using BLAST against the full nr/nt nucleotide collection in GenBank. However, there is a temptation to limit the search to the genus Blastocystis to speed up the identification process, because that is what you expect it to be. Again because of the conservation of ribosomal RNA genes, if ribosomal RNA genes are amplified there will be a match to Blastocystis, and the divergence will likely suggest, again, a new subtype. Comparing against the full nucleotide collection will always show whether the sequence is of Blastocystis origin. Fig. 2. An example of a chimaeric DNA sequence (the 'Blastaragus' from Fig. 1). Notice how the consensus sequence starts out as Blastocystis ST14, shifts to asparagus, and then shifts back again to Blastocystis ST14. I thank Graham, and I really hope that this information will be picked up by many of our colleageus. And please share! Research into Blastocystis is rapdily expanding, and we should all take on the responsibility of QCing our data. 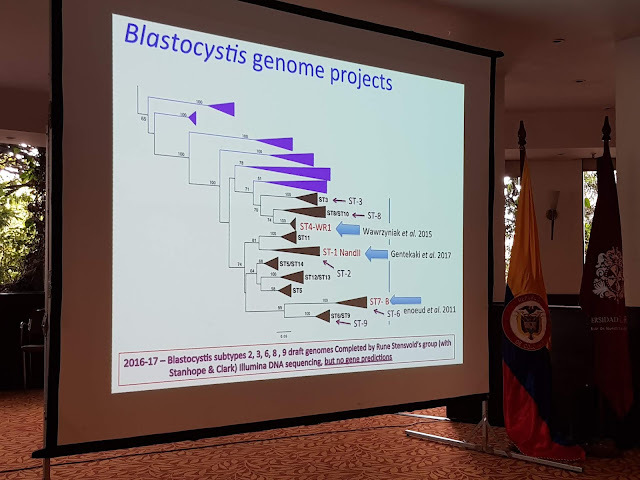 By the way... if you're interested in tutorials on Blastocystis subtyping from our recent workshop in Colombia, please look up Workshop Session 4 in the manual available at this link. Hope to be back before Christmas! Blastocystis is a species complex and as such, it is difficult to generalize on its roles in health and disease. Studies are revealing that intra-subtype variations are associated with different phenotypes, so it is likely that we will require more resolution (allelic) when studying the effects of Blastocystis on the host. Recent metagenomics studies on stools of healthy individuals associate the presence of Blastocystis with a diverse bacterial microbiota, but more studies are required on diseased groups to identify their possible associations with rare/ pathogenic isolates (e.g. ST7 isolates). Recent work on rodent models are shedding light on possible pathogenic effects of acute Blastocystis infections. More studies on the cell and molecular biology of Blastocystis are required to better understand the molecular basis for Blastocystis-host interactions (identify virulence factors, adaptation strategies etc). It is very likely that more surprises are in store for the curious and observant Blastocystis researcher! We shouldn’t try to generalize about characteristics of ‘Blastocystis’ based on studies of individual isolates. This is a category error — Blastocystis comprises many many different organisms with different genetic makeups. There is variation not just between subtypes, but within subtypes. So we shouldn’t say “Blastocystis is a commensal/parasite” because different Blastocystis isolates could be commensals or parasites depending on the host, the genetic makeup of the parasite and the microbiota with which they interact. In microbiome studies, colonization with Blastocystis in general seems to correlate with a different composition of the prokaryotic microbiota in hosts. We know virtually NOTHING about the basic cell biology of Blastocystis (Kevin Tan’s group is making important inroads into understanding this). We know virtually NOTHING about how Blastocystis interacts with (or responds to) other microbes and the host immune system. There may be an important impact of host diet on Blastocystis colonization and ‘behaviour'. The diversity of Blastocystis in humans and animals is huge — new lineages are being continuously revealed. So, a lot of people would like to know about the take-home messages from the recent 2nd International Blastocystis Conference in Bogotá. There were many, and I might develop one more post to make room for more. 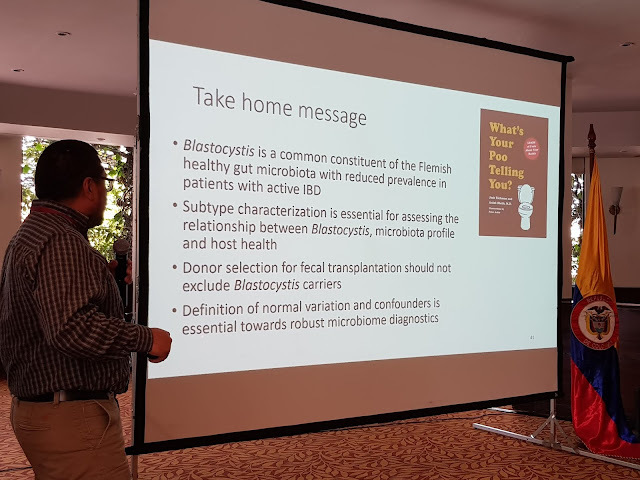 The first - and most important - thing I'd like to emphasise is that the community interested in Blastocystis is growing. And we're seeing a clearly multidisciplinary approach to studying the parasite. I think that this is what we need. 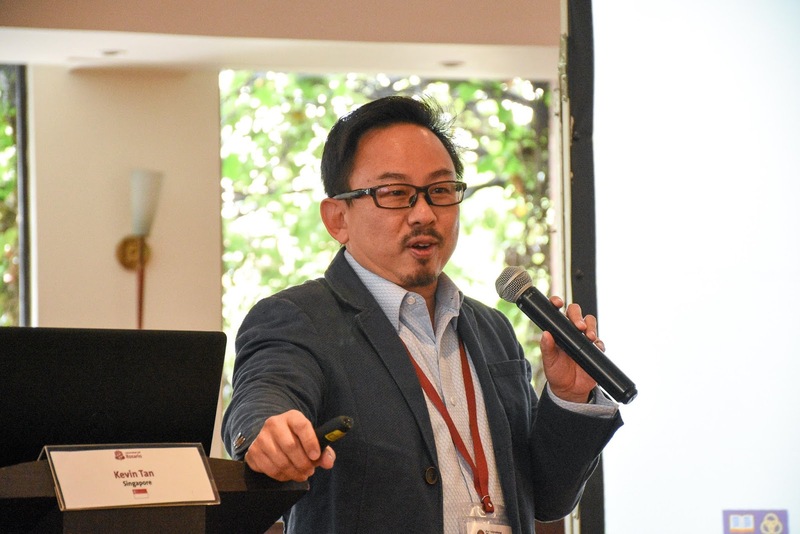 The initial ideas about having Blastocystis-specific conference were developed by Funda Dogruman-Al and myself, and we both have a background in clinical microbiology. We have realised that in order to make sense of Blastocystis in a clinical microbiology (and infectious disease) context, we need research input from bordering fields, such as biology (genomics, cell biology, etc. ), veterinary medicine (host specificity and impact of Blastocystis on animal health), gastroenterology (connection to microbiota and the extent of Blastocystis being involved in functional and inflammatory bowel diseases), bioinformatics (processing NGS data such as those pertaining to the profiling of gut microbiota communities), and ecology (people who are used to study interactions between organisms). At the conference, I believe that all (or at least most) of these fields were represented. I was also thrilled to realise that many researchers have now adapted to the subtype terminology, - and even the allele terminology appears to be useful and pragmatic. Status on the Blastocystis genome project. Slide by Andrew Roger. Andrew Roger highlighted that the genomes of Blastocystis are more different than the genomes of human and mouse! Well-annotated genomes are available for ST1, ST4, and ST7, while draft genomes are available for subtypes 2, 3, 6, 8 and 9. What use are genomes? Summary provided by Andrew Roger. Animal experimental modelling is possible. We know that rats can be colonised/infected by Blastocystis ST1 strain from a human and shed cysts in stool for more than one year. Blastocystis is one of the few parasites that are really easy to culture and easy to get by. If we can learn to induce cysts in culture, these can be separated by sucrose gradient centrifugation or other methods and used for inoculation into volunteers, pigs, or rats, for instance. This can be used to study the impact of Blastocystis on the host, including immune system and gut microbiota. Baseline microbiota profiling is necessary prior to inoculation to know about the background variation in study individuals. In terms of Blastocystis and gut microbiota: Since we published our conspicuous observations in 2015, many researchers have now corroborated our findings: Blastocystis is typically linked to increased microbiota richness and diversity; - something, which is generally considered a benefit and which is linked not only to gut health, but also to leanness. Especially the negative association between Blastocystis and Bacteroides has been highlighted by many now. It will be very interesting to learn why this is so. It also seems that Blastocystis are more common in individuals with a gut microbiota dominated by strictly anaerobes rather than facultative aerobes. Faecal microbiota transplantaion (FMT): The recommendation of excluding FMT donors based on the finding of Blastocystis came up many times and was discussed in the context of the microbiota studies. It appear relevant to investigate further whether FMT donors should really be dismissed if they are Blastocystis-positive. Some of the take home messages from Raul Tito Tadeo's talk. In many animal groups, Blastocystis is a very common finding. These include mostly omnivores or herbivores. On the contrary, Blastocystis is very rare in strict carnivores, with no consistency in subtype distribution, indicating that these animals are not natural hosts of Blastocystis.The Blastocystis incidentially found in these hosts might stem from the prey that they have eaten. 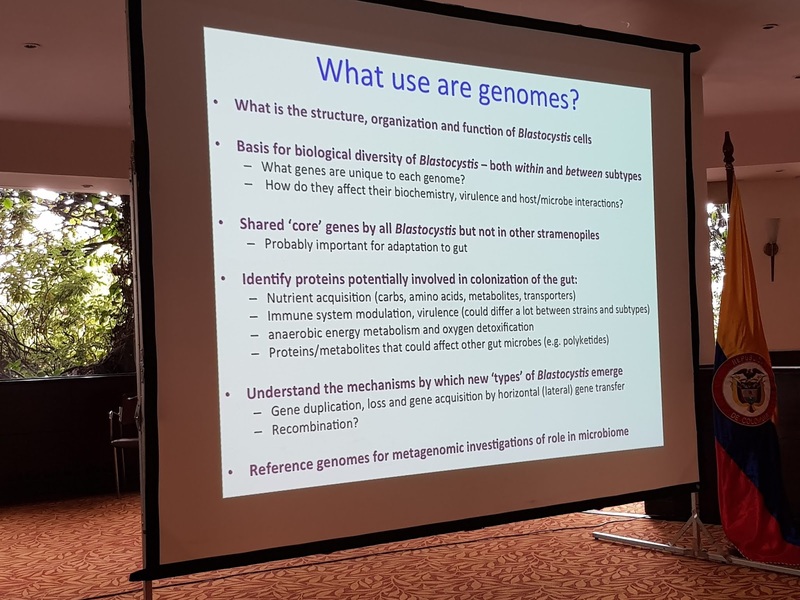 Finally, I wish to highlight that there are excellent resources available from the pre-conference workshop, including an R script for microbiota analysis, and some tools for Blastocystis genome annotation. 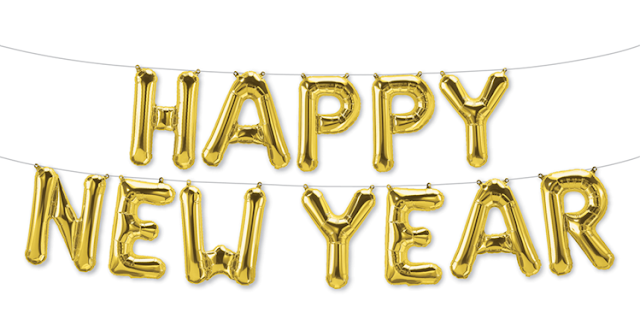 Please visit my previous blog post for links to these. We cannot totally dismiss pathogenicity of Blastocystis; if existing, it may involve both strain- and host-specific factors. 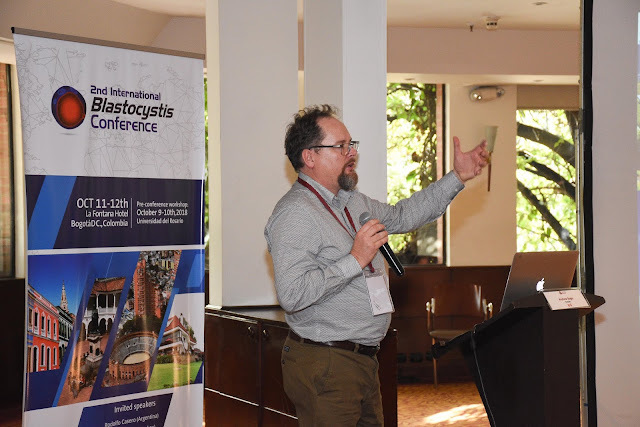 And.... it's out: The time and venue for the 3rd International Blastocystis Conference will be Crete in 2021 (possibly June), with Eleni Gentekaki and Anastasios Tsaousis being involved in both the scientific and local organising committees... ! Please mark you calendars! 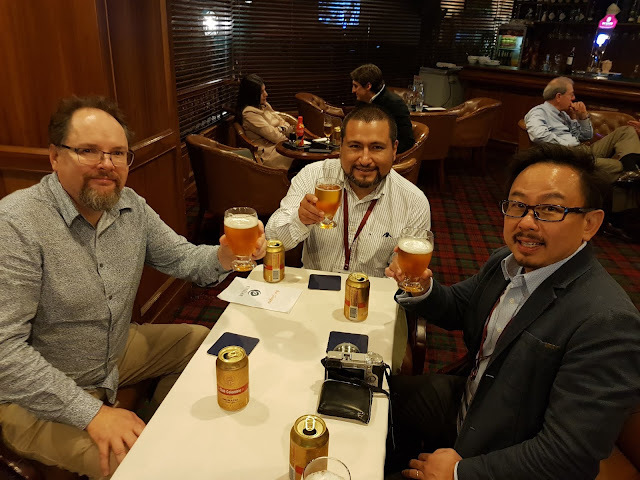 Andrew Roger, Raul Tito Tadeo, Kevin Tan and myself (taking the picture) enjoying some Club Colombia.